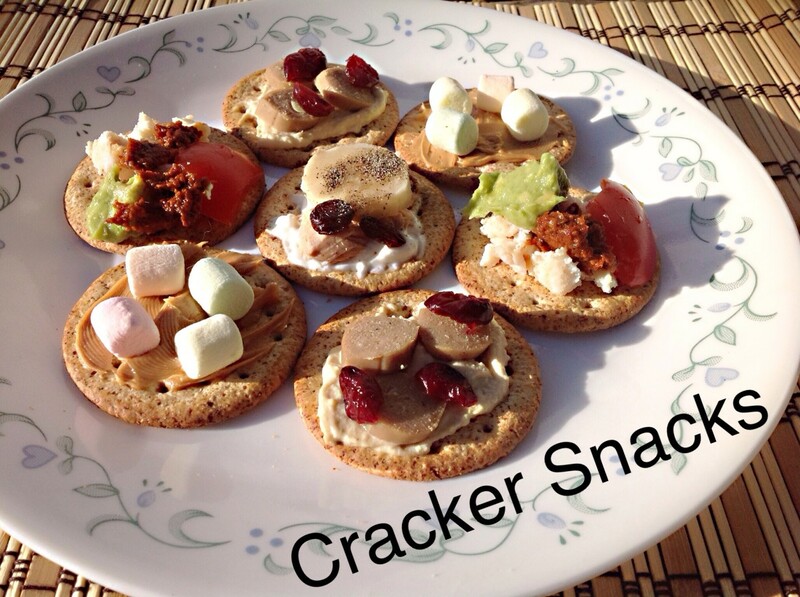 Crackers with toppings are great snacks to eat every day and at celebrations. They can be attractive, very tasty, and quick to make. They can also be a healthy food, depending on the ingredients in the crackers and their toppings. Making cracker snacks is a creative process. It's fun to try new topping ingredients and to mix old and familiar ones in new combinations. Whole foods such as vegetables, fruits, nuts, seeds, and meats work well in toppings. 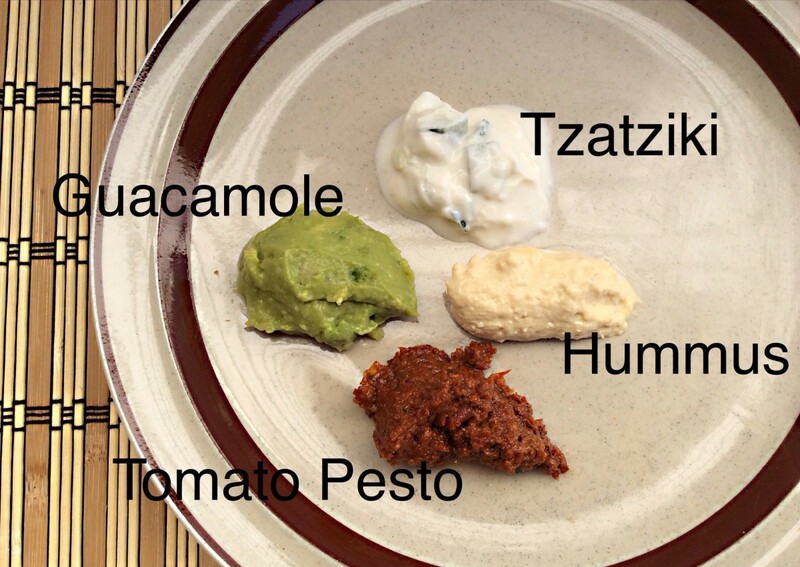 Herbs, spices, sauces, dips, and spreads like pesto, salsa, guacamole, tzatziki, and hummus are also useful. 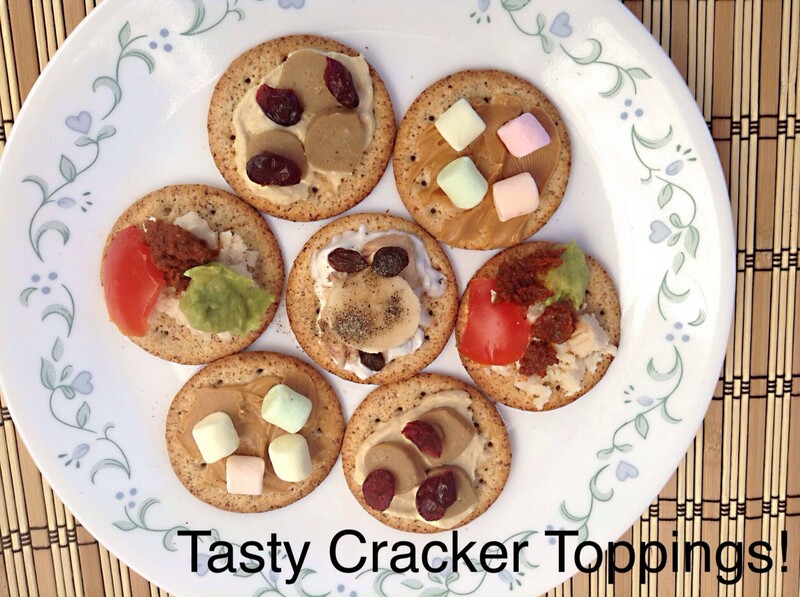 In this article I describe twenty tasty ingredient combinations for cracker toppings. Recipes are included for people who like to create their own sauces. All of the cracker photos in the article were taken by me. Cracker snacks are fun to create. I use whole foods on crackers as part of my regular diet and add prepared products such as spreads and sauces for special events. I prefer all-natural spreads and sauces that have no artificial colors, flavors, or preservatives and contain only healthy oils, such as olive oil. I also look for varieties with a reasonably low sugar and salt level. Occasionally, however, delicious but less healthy toppings manage to reach my crackers. Many choices of toppings exist, both savory and sweet. Meats, cheeses, sauces, herbs, nut butters, and fruits can be combined to create delicious savory toppings for crackers. Moist ingredients should be drained as much as possible and either added not long before the crackers are served or placed on top of a drier component to prevent the crackers from becoming soggy. I use wild salmon that was canned in water without salt and has been drained. Pesto is a traditional Italian sauce made from basil, pine nuts, cheeses, olive oil, garlic, and salt. Place salmon on a cracker. Add a small spoonful of pesto. Top with a sliced cherry tomato. 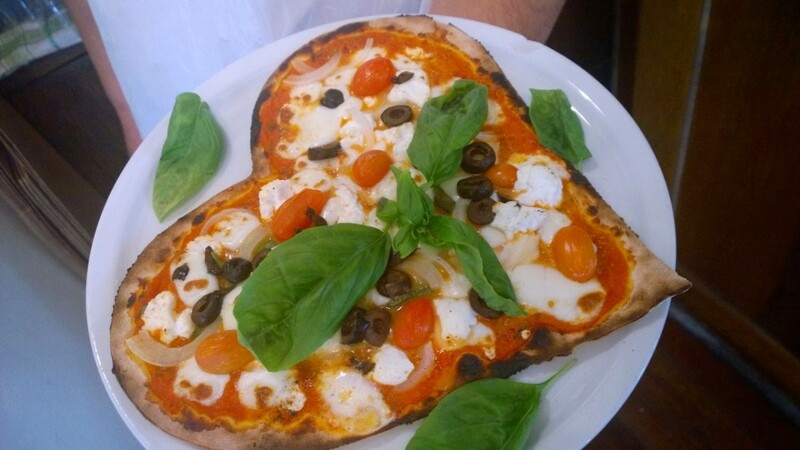 Alternatively, replace the pesto and cherry tomato with a tomato pesto. Canned wild salmon is low in mercury, but canned tuna may not be, depending on the type of fish. Canned light tuna is the lowest in mercury. Canned albacore tuna is high enough in mercury that major health agencies in the US and Canada recommend that its consumption be limited. It's sometimes known as white tuna. Place drained, water-packed tuna on a cracker. Sprinkle with Parmesan cheese and black pepper. For the most flavorful pepper, grind it just before use. Yogurt is too liquid to stay on the surface of a cracker and can make the cracker soggy. Yogurt cheese is simply yogurt with some of the liquid removed. It has a thicker consistency than whole yogurt and is very easy to make, as described in the instructions below. Fresh or dried herbs can be gently added to the yogurt cheese before it's used. Tzatziki can be used instead of yogurt cheese. Tzatziki usually contains yogurt, cucumbers, lemon juice, olive oil, dill, garlic and salt. It's sometimes made with sour cream instead of yogurt. Place chicken on a cracker. Add a spoonful of yogurt cheese or tzatziki. Place sliced grapes or banana slices on top. Sauces, dips, and spreads work well in cracker toppings. Place a double layer of cheesecloth in a colander or other strainer which has been placed over a bowl. Pour yogurt into the cheesecloth and cover the colander with plastic wrap. Allow the yogurt to drain in the refrigerator for six to twelve hours. Place the yogurt cheese in a very clean container that has a lid. Keep the container in the refrigerator. The yogurt cheese should remain useable for up to a week. The liquid from the yogurt can be added to other foods. Precooked meats are useful for cracker toppings. Sodium nitrite and sodium nitrate are often added to deli meats as preservatives, however. These chemicals are converted to nitrosamines in the digestive tract. Nitrosamines are suspected carcinogens. Chicken cooked at home, canned chicken that has been drained (after being rinsed to reduce the salt content), and chicken slices without sodium nitrite or sodium nitrate are all good cracker toppings. 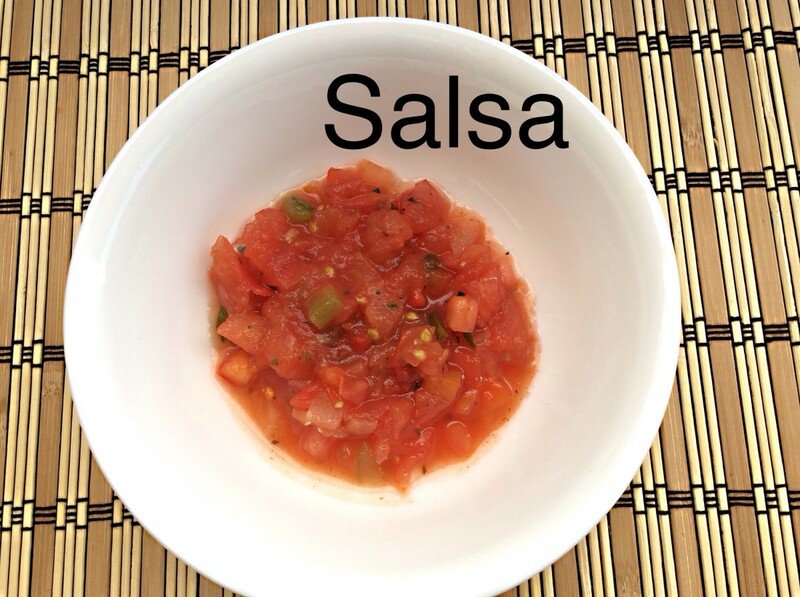 Traditional salsa is a sauce made chiefly of tomatoes, hot peppers, and onions. Some salsas are made of fruit, peppers, and onions, however. Create a "bed" of chicken on a cracker. Add a spoonful of salsa from which any excess liquid has been drained. Sprinkle with dried or fresh herbs, such as oregano, marjoram, or cilantro. Use home cooked turkey, canned turkey that has been drained, or prepared turkey slices without preservatives. Spread peanut butter or tahini (sesame seed butter) on a cracker. Add turkey. Sprinkle with dried cranberries or raisins. I buy all-fruit strawberry jams, which are usually called spreads instead of jams. Plum and apricot jam go well with turkey, too. Spread the cracker with jam or jelly. Place turkey on top. Use home cooked beef or beef slices without preservatives bought in a store. Spread mustard on a cracker. Cover with a slice of beef. Place a spoonful of salsa on top of the beef. This is an old favorite from my childhood. I use it as a sandwich filling as well as a cracker topping. I use English-style pickled onions that don't taste excessively sweet, unlike some versions of pickled onions that I've tried. Place sliced cucumber, sliced tomato, sliced cheddar cheese, and sliced pickled (or fresh) onion on a cracker. Vegan sausages usually contain much less fat than sausages made from meat. They are often sold in a precooked form. Hummus is a spread traditionally made from chickpeas, tahini, lemon juice, olive oil, garlic, and salt. Spread hummus on a cracker. Top with slices of vegan sausage. Sprinkle dried cranberries over the sausage. 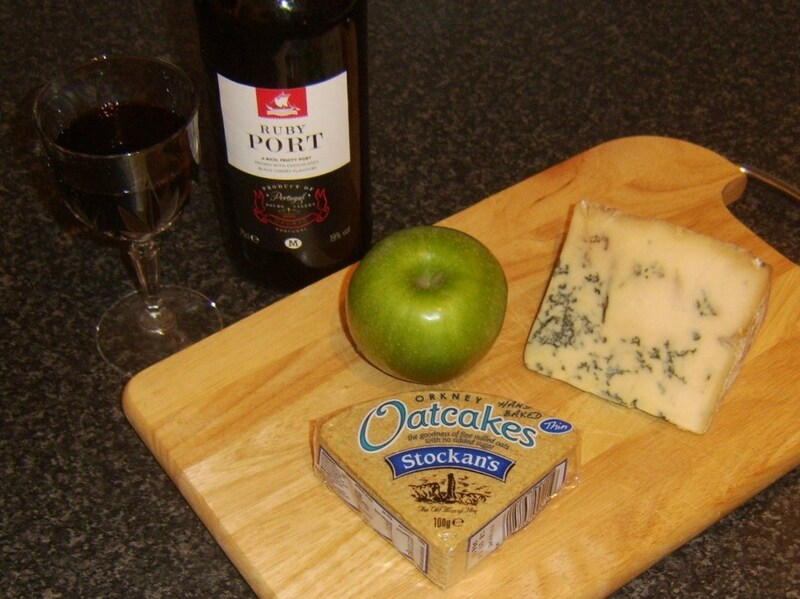 Cheese goes well with either pears or apples. It also goes well with marmalade, a combination that I love. Place a slice of cheese on a cracker. Spread marmalade on top of the cheese. Add pieces of ripe pear or apple. Sprinkle with crushed walnuts. 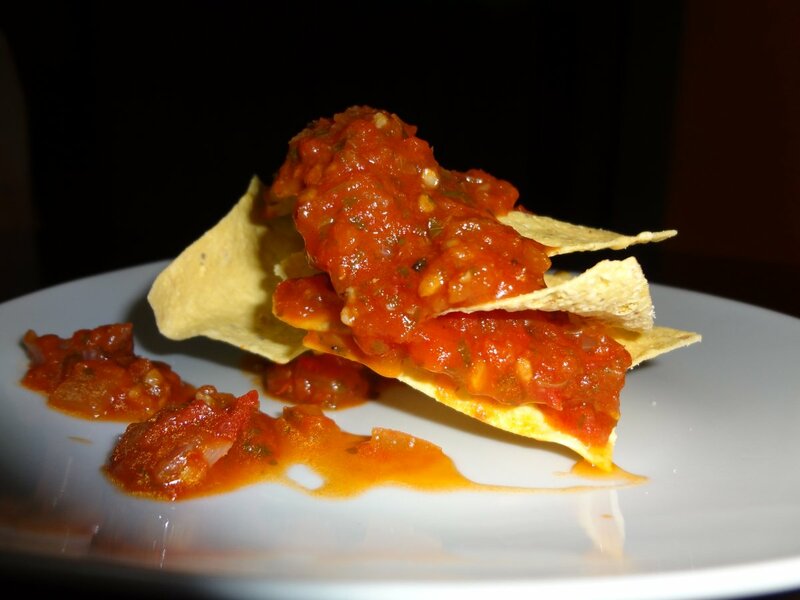 Salsa works well in cracker snacks as long as the excess liquid is drained and it's placed on top of a bed of drier ingredients. Place a slice of vegan ham or bacon on a cracker. Fold over if the slice is too big for the cracker. Place chopped, hard boiled egg on top. Sprinkle black pepper on top of the egg layer if desired. Place a slice of Swiss cheese on a cracker. Add slices of sun dried or fresh tomato. Cover with basil leaves. Create a bed of dark salad greens on a cracker. Fold the leaves over if they're too big for the cracker. Add a spoonful of a scrambled egg mixture that was cooked with Parmesan cheese, oregano, sage, and black pepper. The toppings below all contain nut butters. Butters made from nuts and seeds are nutritious and contain healthy fats, especially when they're sold without additives. Since I love the taste of chocolate, I often add a mixture of cocoa and sweetener to a sweet topping. Many types of sweeteners are available in stores. My favorite is erythritol, which is generally considered to be a healthy sugar substitute. I also use buckwheat honey or another dark honey as a sweetener. These too have health benefits and have a delicious taste, but they are rich in sugars. For special treats, though, honey is a great sweetener. 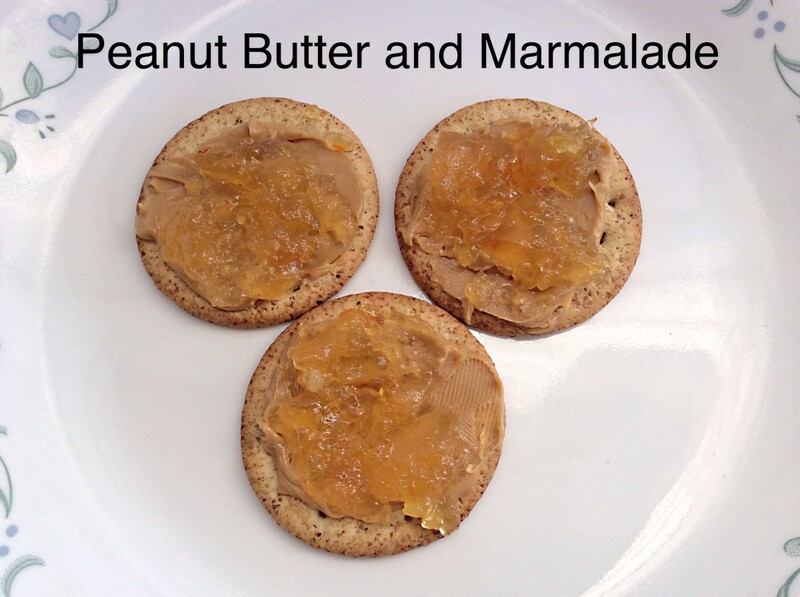 A peanut butter and Seville orange marmalade combination is basic and delicious. Chocolate syrup can provide a nice taste in a topping. It's high in sucrose, so ideally it should be used in small quantities or only on special occasions. The syrup can be bought in stores or made at home. As the video below shows, making the syrup at home is a quick and easy process. You may prefer the ingredients that are used in home recipes. Commercial chocolate syrups often contain high fructose corn syrup, a controversial substance. Spread hazelnut butter on a cracker. Drizzle honey on top of the hazelnut butter. Sprinkle cocoa on top of the honey. Chocolate syrup can be used instead of the honey/cocoa mixture. Spread peanut butter on a cracker. Add slices of banana. 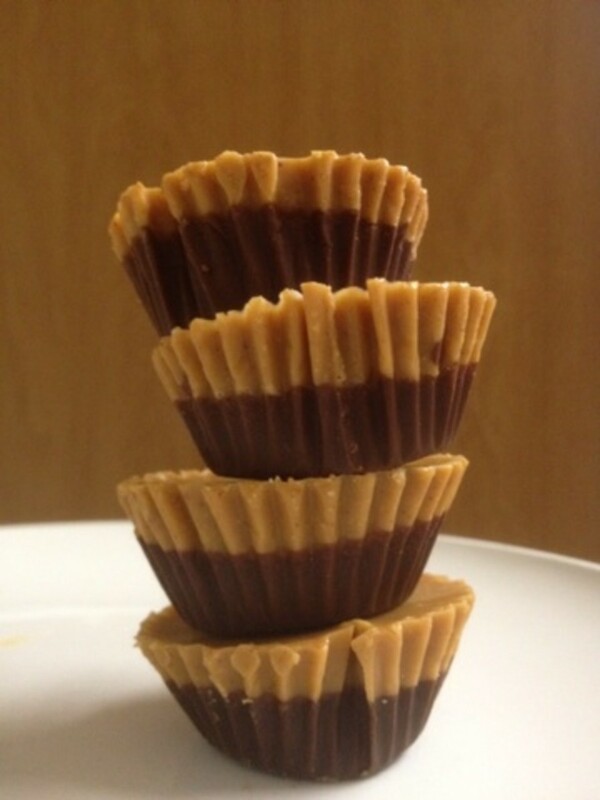 If desired, drizzle with the honey and cocoa mixture as above or use chocolate syrup instead. Spread peanut butter on a cracker. Cover with a layer of all-fruit strawberry jam or jelly. Many other flavors of jam and jelly go well with peanut butter, including raspberry and grape. Adding pieces of fruit on top of the jam or instead of it creates an interesting taste and increases nutrition. Try strawberries, raspberries, grapes, or blueberries. Spread cashew butter on a cracker. Cover with a layer of all-fruit orange marmalade. Sprinkle with powdered cinnamon or ginger. These dessert toppings are great for special occasions, although the crackers and their toppings aren't exactly health foods. They are delicious, though. Lemon curd is a thick and creamy spread made from butter, eggs, lemon juice, and sugar. I've found lemon curd that contains no added color or artificial ingredients in big health food markets, such as Whole Foods. Lemon spread is a suitable substitute if you can't find lemon curd. Both products are high in sugar, but I love their taste. Spread almond butter on a cracker and cover with a layer of lemon curd. I usually make the layer of lemon curd thicker than the layer of nut butter since I like it so much. Thick cream topped by sweet fruit is a wonderful cracker topping for celebrations. I use Devonshire double cream, to which I add a small amount of sweetener. The fruit and cream combination tastes especially nice on top of oat cakes (which are a type of cracker, despite their name). 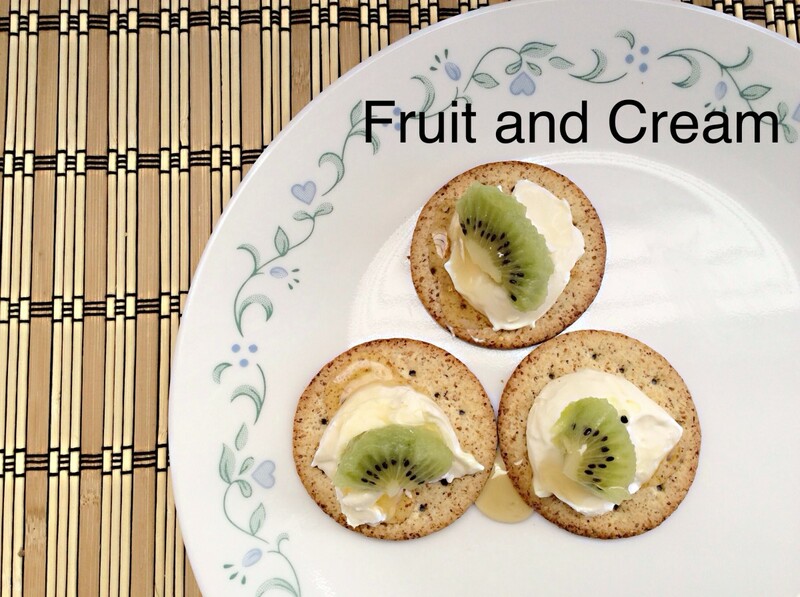 Place a spoonful of thick, lightly sweetened cream on a cracker. Top with blueberries or another fruit. Marshmallows may not have any redeeming health benefits, but they are very nice as a cracker topping. Spread peanut butter on a cracker. Add mini marshmallows or spread marshmallow fluff (or marshmallow cream/creme) over the peanut butter. There are many other possible ingredients for cracker toppings. I sometimes use the following foods. Guacamole is another possible addition. It's a sauce made from avocado, limes, garlic, salt and sometimes other ingredients, such as tomatoes. A "Build Your Own Cracker Snacks" activity can be fun for parties and other social gatherings. If crackers, containers of food, and utensils are placed on a table, people can make their own snacks according to their tastes. Some strange but tasty ingredient combinations may be created. Discovering new ingredient combinations that work well in cracker snacks is fun. Many foods can be chopped, sliced, grated, crumbled, folded, or drained to place on a cracker. If you have favorite toppings that aren't mentioned in this article, I'd love to hear about them in the "Comments" section below. What are the leaves added to the guacamole recipe? 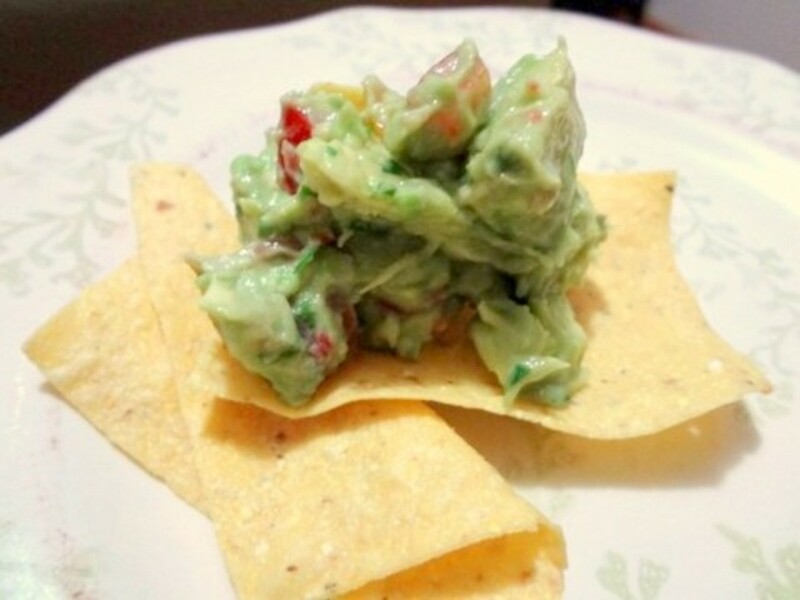 Guacamole often consists of mashed avocado, lime juice, and seasonings. Sometimes cilantro leaves are added as well. These are probably the leaves that you've noticed. A summer picnic on a dock sounds like a lovely idea, Mary. I appreciate your visit. These are tasty ideas Linda. I always have to think out creative snacks for the dock the whole summer so this would be a resource. I like that yoghurt cheese and will try to make that. Thank you, Nancie M. I hope you enjoy the crackers. Lovely h'ordeuvres selection. I'll be trying some of these during the holidays. Thanks for the comment, raguett! Hi, Au fait. Thanks once again for the comment. I appreciate your visits. A great selection of h'ordeuvres. 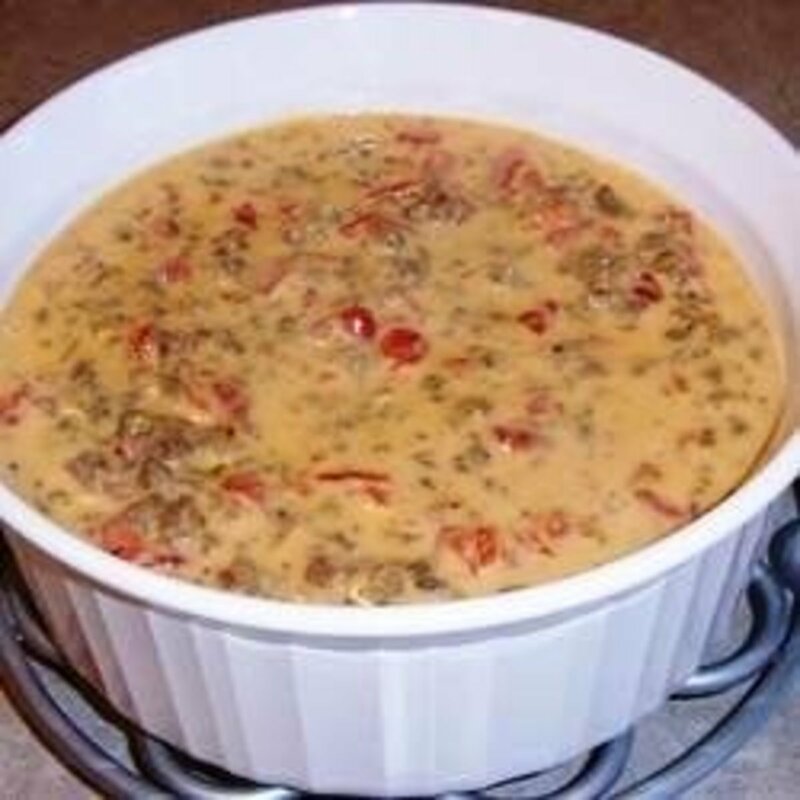 Several of them look yummy and easy to do for a dinner party or holiday party, or just a quick snack. Thanks, Diana. I appreciate the comment. Thanks for your snack toppings. 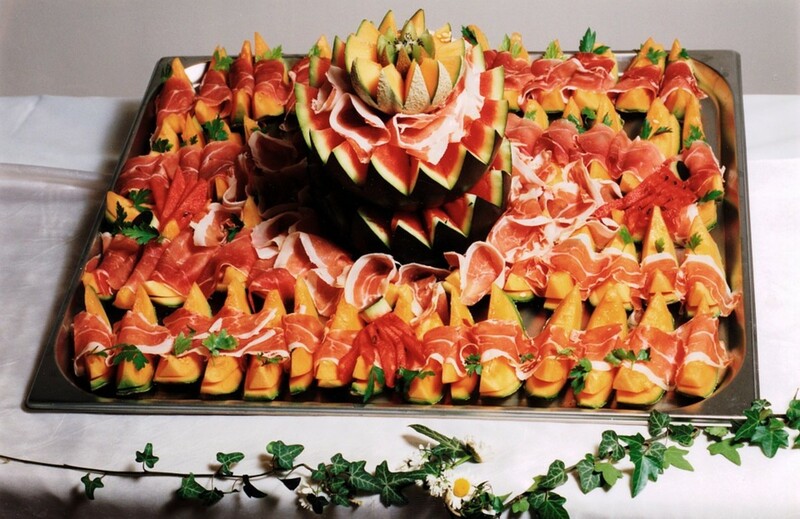 The one that caught my attention was eith kiwi fruit..very creative, I must say! Thank you for the comment and the vote, peachpurple. Thank you, VioletteRose. I love the combination of hazelnut butter and cocoa, too! Thanks for the comment, kerlund74. I hope you enjoy the salmon and pesto topping! So inspriring, I usually just put cheese on mine;) I love these, gives possible variations, I will try the salmon and pesto today! Thank you so much for the kind comment and votes, Victoria! I appreciate your visit. Wow! What a thorough article! I feel like I learned a whole new culture reading through your article. Awesome job! Voted up and more! Thank you for the visit, Deb. I appreciate your comment! These are all fabulous thoughts and make excellent snacks, or even meals, for that matter. Thanks for the great suggestions. Thanks for the comment, WriterJanis. I appreciate your visit! I like munching on crackers and you have given me some good ideas for toppings. You've also made me hungry with all of the yummy photos! That sounds like an interesting and very tasty snack, Writer Fox! Thanks for sharing the idea. Thank you for the vote, too. Great recipes, Alicia. Here's another one to try: A little Mayonnaise, gefilte fish, pickle relish and lettuce on a Euphrates cracker. Hi, b. Malin. Thanks for the lovely comment, as well as for all the votes! 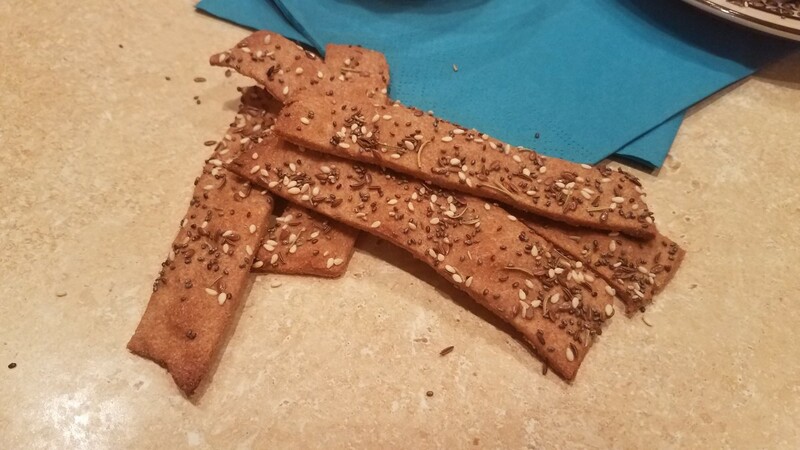 Hi Alicia, this is such a Wonderful Hub, one that I am going to Bookmark for future ideas...I love the Cracker Recipes, some I really had thought of. The Videos you chose were fun as well as educational to look at. I'm voting your Hub, UP & Interesting and of course Useful. Thanks for the visit and the comment, Deborah. Good suggestions, just in time for all those Super Bowl parties this weekend. Thank you very much for the visit, Dianna! I appreciate your comment. I am keeping this handy. There are times when you want something to top a cracker or piece of fruit and you can't think of what works. Here is the answer to it all! Thanks. This sounds like a lovely cracker topping, EGamboa! Thanks for the comment and for sharing the idea. Thanks, Peg. I appreciate your visit. I love snack crackers, too! Cheese and fruit is a lovely combination. Yummy ideas just in time for the big game this weekend. I love snack crackers and your incredible variety of toppings are mouth watering. I'm partial to the cream cheese and fruit ones. Thanks for the comment and the vote, Eddy. I hope you enjoy your day, too! Have to save this one Alicia and voted up. Thank you very much for the comment and the vote, Crystal! Hi, ologsinquito. Thanks for the comment. I hope some of the ideas are useful for you when your company arrives. These are very unique ideas and would be great to serve at parties as well. Voted up and more. Well done on this hub! These are all very good ideas. I'd like to refer back to this in a couple of weeks, when I'm expecting company. Hi, Rebecca. Yes, peanut butter and marshmallow is tempting. I find chocolate even more tempting, though! Thank you very much for the comment. Thank you, Bill. I appreciate your comment, as well as the vote and the share! I hope your week is wonderful, too. I'm sorry about your wife's background, trusouldj. It's fun to discover the joys of simple cracker snacks, though, if we're able to. Thanks for the visit. I've gotten away from such simplicity as I've gotten older and married. My experiences are not my wife's experiences. As well, what was fun as a child for me is seen as bad memories of not having enough when she was a child. Thanks for reminding me that there's nothing wrong with crackers and cheese, peanut butter and jelly crackers, etc. Thanks, DDE. I'm glad that you like the sound of the toppings! Great toppings and all my best tasting indeed makes me want to have some right now! Thank you for the comment, Jodah. It is interesting how tastes vary in different countries and even in different families! Sometimes I mix foods together just for fun. The experiments don't always work, but I'm often surprised to discover how good a mixture tastes! Wow, what a different selection and combinations of toppings Alicia. I think here in Australia some our taste preferences are a little different and a couple I can't imagine like turkey, peanut butter and cranberries, but I'm sure it tastes fine (I known turkey and cranberries goes together). It's just us Aussies rarely mix peanut butter with anything else. salmon, pesto and tomato and beef,mustard and salsa sound great. Very well written hub. This does sound delicious, Paul! Thank you very much for the visit and the comment. The cashew butter and marmalade sounds really good. One of my absolute favorite ways to eat crackers or crusty bread is a chunk of stilton cheese with an orange-fig preserve. Delicious! Thank you so much for the lovely comment, Faith! I enjoy mixing foods to get new tastes. I probably picked up the habit from my father, who often created strange food combinations that actually tasted great. I appreciate your votes and the share. I hope you have a wonderful week too, Faith! Thanks for the comment, Bill, especially since it came so amazingly soon after I published this hub! My weekend was actually quite busy. Hopefully next weekend will be more relaxing! Oh, wow!!! These are amazing toppings and so unique. Thank you for sharing these great variety to turn an ordinary cracker into a special taste sensation indeed! None of my toppings can even compare to these delectable toppings. I must try these. Great videos too. Awesome hub! Up and more and sharing. Just in time for the Super Bowl. Thanks for the suggestions my friend, and I hope your weekend was restful.